8. Which are the data subject’s rights? 1. The Controller of the processing of personal data of the users is Vitamin Center S.r.l. unipersonale, Castel Maggiore (BO) via Marino Serenari n. 6/A (CAP 40013), R.E.A. 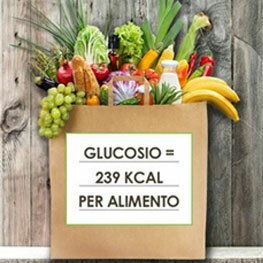 BOLOGNA 424984, Vat Number 02255511202, e-mail: privacy@vitamincenter.it, PEC: vitamincenter@pec.ascom.bo.it. f) sending newsletters (for further information, see article 4.3). 2. The data collected by users who use the site for the purposes indicated in the previous point could also be used for other purposes, but for each further processing will be required an explicit and express consent to the users. Therefore, the data of the users collected for the aforementioned purposes may also be processed for other processing activities only where explicit and voluntary consent has been provided by the user (i.e. for marketing and / or commercial promotion purposes, including paper and / or digital advertising material, with regard to the services and / or products offered by Vitamin Center). -in cases e): for compliance with a legal obligation to which the controller is subject in accordance with art. 6.c GDPR. Any failure to provide such consent will therefore prevent the performance of the services required; however, it will be possible to visit the Site without providing any personal data, even if some features may not be available and some services not provided. 2. The provision of personal data is always voluntary for the purposes referred to in Article 2, par. 1.f and par. 2 as the legal basis of the processing is the data subject consent, specific, informed and freely given in accordance with art. 6.a GDPR. If the data subject has not consented to processing, such operations will not be carried out without any consequences for the user; in particular, the user will be able to use the Website and the services for all the other purposes specified in art. 2, par. 1. 3. In particular, the consequences of failure to provide personal data will always made explicit and strictly related to each service: for example, any refusal of consent to a given processing may prevent the consultation of the Site and the use of its features (as for the cookies) or the receipt of the newsletter (in the case of the newsletter service offer). Therefore, the user will be adequately informed for each specific case; anyway, it will be possible to consult the Website even denying consent to the processing of personal data, when required; in this case, some features may not be available. This data category includes the: IP addresses or names of computer domains used by visitors who access the website; URI (Uniform Resource Identifier) addresses of the requested resources; time of request; method used to submit the request to the server; size of the file obtained in response; numerical code indicating the status of the response from the server and other details relating to the operating system and the information environment of Users. This data is used only to obtain anonymous statistical information about the website and to check its correct functioning and is deleted immediately after processing. This data may also be used to ascertain responsibility in the case of possible computer crimes against the website. Excepting this, data on web contacts is not stored for more than seven days. As for cookies, please refer to paragraph 4.4. The voluntary and explicit sending of communications by e-mail emails to the contact addresses on this website (https://www.vitamincenter.it/servizioclienti/) will entail the subsequent acquisition of the sender’s data, including his e-mail address, and the consent to receive replies to his request. Users can voluntarily provide personal information to Vitamin Center in the context of a product they requested by it. Such provided data may be used to send e-mail communications relating to products similar to those previously required by the user, pursuant to art. 130, paragraph 4, of the Italian Legislative Decree n. 196/2003, without the need for express and prior consent (“soft spam”). Each message includes a notice that its recipient can at any moment revoke his/her consent without formalities to such processing of personal data. Data subject can request the Data Controller to delete or anonymize his/her personal information. Vitamin Center newsletter is sent by e-mail to those who explicitly request it, by filling out the appropriate form on the Website and authorizing the Data Controller to process their personal data for the aforementioned purpose. Consent: The service is provided only following explicit and unequivocal consent (released by the user selecting the appropriate box on the Website) and the provision of data is mandatory only for the purpose of receiving the newsletter and any failure to provide it will prevent to use the service, without further consequences. Removal from the service: in order to stop receiving the newsletter, simply select the link for removal at the end of each e-mail or send a specific request to the e-mail address privacy@vitamincenter.it. Technical cookies (first party): these are essential for the proper operation of this Web Site (i.e. to allow authentication to the web site and facilitate the purchase of products). Analytics cookies (first party): these are used for statistical purposes in aggregate form. Analytics cookies (third party): are used to create User profiles in order to send advertising messages in accordance with the preferences expressed by the User during the browsing, by using a third-party service. Profiling or commercial cookies (third party): these are used to publish advertisements, based or not on users’ interests and they are installed by third parties. Names and links to relevant information of third parties are available in the next paragraph. In any case, these cookies and the information acquired through them are not combined with the Vitamin Center user account. Collect data related to users geographical GPS location, demographics and interests. Collect data related to user’s navigation with the purpose of displaying targeted ads. - Chrome (desktop: https://support.google.com/chrome/answer/95647?hl=en; Android and iOS https://support.google.com/chrome/answer/2392971?hl=en). In relation to the VitaminPoints, only the necessary data are processed, and no profiling activity is carried out. They are kept for up to twelve months after their expiry, for management purposes and to handle possible complaints. Forum registration is optional; only the data necessary for this purpose are processed and no profiling activity is carried out. The cookies that are used to provide this service are technical and are used to authenticate the user in the forum and mark the messages according to their visits as “read” or “unread”. 1. Data will be managed lawfully and used only for the aforementioned purposes (art. 2). It will be processed using suitable means to guarantee its security and confidentiality, using the most appropriate, also automated, means (hard copy or electronic) to store, manage and transmit the data. The Controller assess the appropriate level of security in particular from accidental or unlawful destruction, loss, alteration, unauthorised disclosure of, or access to personal data transmitted, stored or otherwise processed. 2. This data will be retained for the period stipulated under the relevant law and, anyway, for no longer than is necessary for the purposes for which the personal data are processed and/or until the data subject revokes the consent given for the purposes referred to in art. 2, par. 1.f and par. 2. 1. The processing operations related to the web services of this Site take place at the Data Controller's premises and are only handled by internal and/or external technical staff specifically delegated for processing. In particular, where necessary and only with prior consent, the data may be disclosed to third parties whose collaboration is needed for the performance of the services offered. The data collected via the web, or in any case arising from web services, may be disclosed to the technological and instrumental partners who cooperates with the Data Controller to provide the services required by users, always in compliance with the purposes set forth in article 2. To this purpose, the subjects who will have access to personal data will be specifically authorized for processing by the Data Controller and, if due, appointed as Data Processors, pursuant to Articles 28 and 29 of the GDPR. 8. Which are the data subject's rights? 2. Each data subject have the right of access at any time to personal data which have been collected concerning him or her (right of access) in order to be aware of, and verify, the lawfulness of the processing. The data subject is also entitled to exercise all the existing rights pursuant to the current national and European legislation on the personal data protection: in particular, he/her may request at any time the rectification and updating of incorrect or inaccurate data, the limitation of the processing and the erasure of the same (right to be forgotten), as well as lodging a complaint to the Data Protection Supervisory Authority. 3. With reference to personal data processed by automated means, if based on the user’s consent, the data subject may also receive data concerning him or her in a structured, commonly used, machine-readable and interoperable format, and to transmit them to another data controller (right to data portability). 1. The Data Controller has appointed a Data Protection Officer (DPO) that Data Subjects can contact to exercise their rights and for any question and request concerning personal data processing activities. The DPO is reachable at Data Controller register office located in via Marino Serenari n. 6/A, Castel Maggiore (BO) (CAP 40013) and to the following e-mail address: rdp@vitamincenter.it. 2. Any request regarding the processing of personal data and any communication concerning the exercise of their rights may be addressed to the Data Controller by sending a communication via e-mail, to privacy@vitamincenter.it, via PEC, to vitamincenter@pec.ascom.bo.it, by mail to Vitamin Center S.r.l. unipersonale, via Marino Serenari n. 6/A, Castel Maggiore (BO) (CAP 40013), Italy.